Rendering of proposed Hines residential project in Berlin. 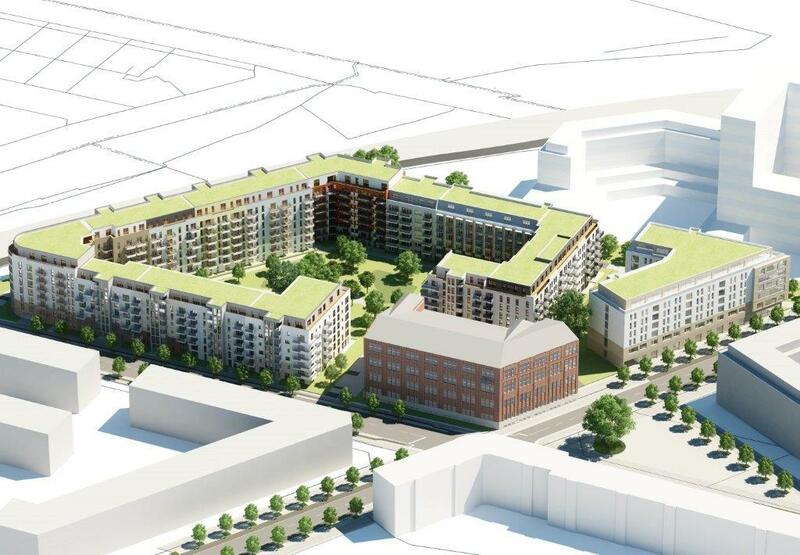 BERLIN – Hines is expanding its residential rental program in Europe with the acquisition of a 231,424-SF site known as Wohnpark Südkreuz in the Schöneberg district of Berlin. This marks the firm’s first private rental sector development project in Germany. Hines will develop 530 rental apartments of different sizes, totaling 570,487 SF – ranging from micro-apartments, large family units, all the way to subsidized apartments, which reflect the Berlin model of cooperative construction development. The residential complex is targeted for a mid-2019 completion.